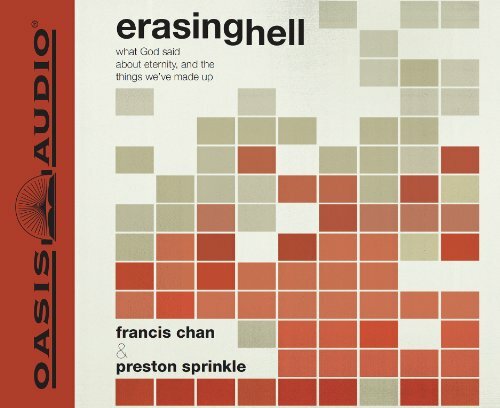 n this groundbreaking new book, Francis Chan and Preston Sprinkle take on the topic of hell and our eternal destiny, with a sense of humility and a deep respect for the inspired Word of God. They will address questions such as "Will everyone be saved?" and "Does God Get What He Wants in the End?" as well as reviewing in depth, everything Jesus said about Hell. However, the authors warn that we have to guard ourselves against "a heartlessness" when we talk about this theology and this doctrine, because ultimately this about people. Chan and Sprinkle lay all the evidence on the table and present all the facts from Scripture, so that people can decide what to believe for themselves. Francis Chan is the best-selling author of <i>Crazy Love</i> and <i>Forgotten God</i> and the host of theBASIC.series. He has also written the children's books <i>Halfway Herbert</i>, <i>The Big Red Tractor and the Little Village</i> and <i>Ronnie Wilson's Gift</i>. Francis is the founding pastor of Cornerstone Church in Simi Valley, California, and is the founder of Eternity Bible College. He also sits on the board of directors of Children's Hunger Fund and World Impact. Francis lives in California with his wife, Lisa, and their four children.